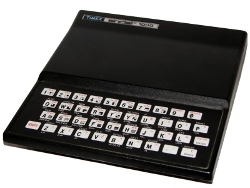 I've added a new Programs section that lists all of my ZX81 programs available so far. The list includes the name, a brief synopsis, and options to list or run the program as available. I still need to add a more complete description option. The code is there, I just haven't decided how I want to deal with the pictures. But hey, at least you can run every program I had available before (Java required), plus a few new ones. I also updated the listing section. It lists closer to what a ZX81 printout would look like, minus the graphics. I mostly made the change to deal with line wrapping. If I get adventurous, I'll see if I can find a real ZX81 font and use it instead.